The last decade has witnessed remarkable discoveries and advances in our understanding of the tool using behaviour of animals. Wild populations of capuchin monkeys have been observed to crack open nuts with stone tools, similar to the skills of chimpanzees and humans. Corvids have been observed to use and make tools that rival in complexity the behaviours exhibited by the great apes. Excavations of the nut cracking sites of chimpanzees have been dated to around 4-5 thousand years ago. 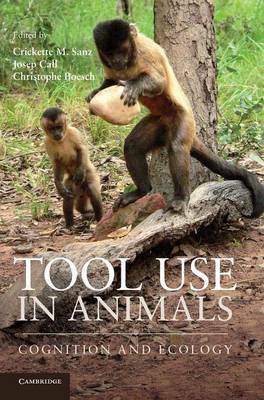 Tool Use in Animals collates these and many more contributions by leading scholars in psychology, biology and anthropology, along with supplementary online materials, into a comprehensive assessment of the cognitive abilities and environmental forces shaping these behaviours in taxa as distantly related as primates and corvids.